We are engaged in offering, manufacturing, exporting Plasticbambool Cap to the clients. We are engaged in the manufacturing of plastic caps. Our rich collection of plastic caps consists flip flop caps, screw caps and pilfer proof caps. Our flip flop caps have widely been appreciated by clients. We assure to supply flip-top cap mould to you with high performance price ratio and first class service we could design the mould follow your sample bottle /technology drawing. 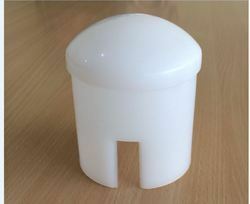 We are considered as an eminent company engaged in providing best quality o fNail Paint Plastic Cap. We use the premium quality plastic granules that are sourced from the leading vendors of the market for manufacturing endurable product.We offer Nail Paint Plastic Cap at competetive rates.